Colour de Verre’s fresh new web site looks great!! And their new pendant molds are pretty cool too! They are making squares and round off set. 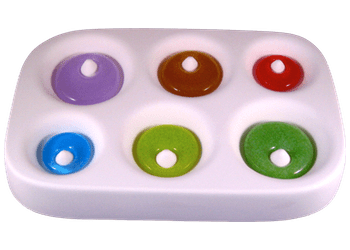 The are a great addition to their line of pendant molds. Each mold comes with multiple sizes and very good instructions on how to use them. And did I mention how nice their new web site is? Go check it out!! Thanks for finally talking about > New Jewelry Mold and Web site from Colour de Verre | Glass Art | CraftGossip.